Entrants must be between the ages of 6 and 12 and have their parent or legal guardian's consent. 3) Upload your child's video by clicking on the 'Upload Video' graphic on the page. 1. How to Enter the Contest: (a) The "Hawaii News Now KidCaster" Call For Entries will begin on Monday, March 28, 2011 and end on Friday, April 15, 2011. (b) To participate in the contest, mail your child's application form to: "Hawaii News Now KidCaster", c/o Hawaii News Now, 420 Waiakamilo Road Suite 205, Honolulu, HI 96817. Or, fill out the online application at www.hawaiinewsnow.com/kidcaster. Applications must include child's name and age, name of parent/guardian and their parent/guardian's complete mailing address and daytime phone number. Along with the application form, a VHS tape or DVD of the child reporting the traffic conditions or traffic safety message must be included. Videos may also be submitted online via the 'Upload Video' button on the Kidcaster entry page. All applications and videos must be received by 12:01 p.m. H.S.T. on Friday, April 15, 2011, in order to be considered eligible. (c) One entry per person for the duration of the contest. Incomplete or illegible entries will not be accepted. Previous KidCasters are ineligible to submit a new application. (d) Hawaii News Now is not responsible for late, lost, stolen, misdirected, misaddressed, ineligible file formats, difficulties uploading videos, incomplete or illegible entries. (e) Broadcasts are subject to preemptions and scheduling changes. 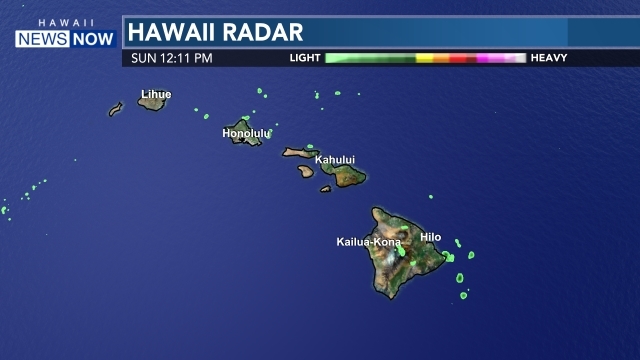 If such changes occur they will be posted on the Hawaii News Now website. 2. Eligibility Restrictions: (a) The contest is open to Hawaii residents who are between the ages of six (6) and twelve (12) (with parent/guardian consent) and reside in the Hawaii News Now viewing area. Employees of Farmers Insurance, Hawaii News Now, CBS Corporation, NBC Corporation, other television and radio stations in the Hawaii market, and their affiliates, subsidiaries and advertising agencies, and their immediate family members or persons living in the same household are ineligible to participate. (b) All entries/footage become the sole property of the Station and will not be returned. By entering, entrants agree to abide by these rules, and warrant and represent that their entry is their original work, and grant to Station the right to edit, publish, promote and otherwise use their entries without further permission, notice or compensation. 4. Conditions: By participating in the call for entries, the selected children (with parent/guardian consent) agree to have their name, voice, or likeness used in any advertising or broadcasting material relating to this segment, and to sign a publicity release, affidavit of eligibility and release of liability prior to acceptance of the role. By accepting the role (with parent/guardian consent) grant to Station the right to use the selected child's, voice, picture and/or likeness for purposes of advertising and publicity in any and all media now known or hereafter invented, without further permission or additional compensation (except where prohibited by law). All expenses on receipt and use of prize are the sole responsibility of winner. Winners, by acceptance of their prizes, agree to release Station, Hawaii News Now, their respective parents and subsidiaries, and their respective advertising, promotion and production agencies and Farmers Insurance Hawaii from any and all liability, claims or actions of any kind whatsoever for injuries, damages or losses to persons and property which may be sustained in connection with the receipt, ownership or use of the prize or while preparing for, participating in, and/or traveling to any prize-related activity. 5. Promotion sponsors reserve the right to make changes in the rules of the call for entries which will become effective upon announcement. 6. No purchase necessary. The contest is void where prohibited by law. 7. Failure to comply with the Kidcaster official rules may result in an entrants disqualification.